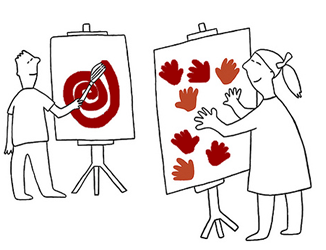 What is the purpose of creativity? Apart from the joy self-expression can give, there is none. So why would I publish anything at all? It’s another of those paradoxes, but this one seems to have gotten hold of me. The purposelessness I experience is a holding me down when writing. I can write a blog or poem and never finish or publish it (in fact, that’s what happens to almost all my writings lately). It simplyt makes no sense since as there is no reward in words being published or read. But on the other hand I find it unsatisfying to leave things uncompleted. And that probably means there is someone here who wants to be read or seen… Oooh how non-dual I am these days! For a while I have been writing ‘non-dual’ poems and posted these on facebook. It was fun to do and a hand full of followers probably read those words. That particular creative streeam seems to have totally dried up and that’s okay. The odd thing about putting poems online was that the words found the paper (or the keyboard) almost by itself. When written, I sometimes used my brain to shake the words around a bit and then the process was completed. Self expression had a goal only in itself. I am still not convinced about the honest meaning of this blog. Is it the next ego-thing? I know I like to write, I know I like to try finding the right words which is even harder in English than it is in Dutch. But is there something I am trying to prove here or trying to accomplish? You can always tell by asking yourself the question: does it feel like freedom when I am doing it. Your tell-tale knows… When something doesn’t feel fully free there is an identified someone wanting something either from the process of creation or from the result. And that someone rates those possible results higher than the feeling of freedom. So what does my tell-talle tell me? It tells I don’t fully feel free… but it doesn’t tell if there is something I am trying to prove or if it is the conditioning about writing and a possible audience that might read it and have a negative opinion about it. Which of course would also only be a generous mirroring of a stuckness in my system. And as I don’t know which one it is, that ties me down it probably is a combination of both. If this writing is not a joyful creative process then what is the purpose of it? Maybe, just maybe it is a pointer to what is seemingly tying me down and it can start unbecoming. 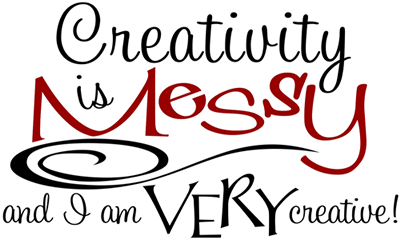 I may not feel very creative lately, but I sure feel wonderfuly messy!